Again, classical theories do not produce such effects or you would have a Nobel for reproducing the Bell experiments. Gell-Mann is using buzzwords and just invoking "consistent histories," which says we have to modify logic. That's a much more desperate change than non-signaling non-locality. Appeals to authority are not useless but a lot of prominent people disagree with him. However, he is right about there being no signaling. "Bell paradoxes are based on comparing one branch of history to another"
See, I take issue right away with saying this. There is randomization of the experiment and the non-commutation is precisely at space-like separation. We don't have to imagine another order of the experiment. It's like rejecting the linearity of expectation. It makes no sense to me. Please state precisely what the counterfactual is. I see no "histories" in a physical description of nature. Quantum mechanics does not make single predictions anyways. It's a non-local theory because it predicts violations of Bell. Bell's is a statement of mathematics and not quantum mechanics. Norsen is wrong in that article. I explained why in this Dec. 2015 post. You didn't explain how he was wrong at all except refuse to understand what Bell was saying after EPR. The fact that you don't like beables has nothing to do with the argument Bell was making. You said: "Thus when Bell defines causality in terms of beables, he is squarely and directly making an assumption about hidden variables." This is backwards. You are getting Bell completely backwards. Bell was responding to EPR and you have to read that paper to see what he was trying to say. I beleve that Bell was correct, and that, as MD Cory suggests, Gell-Mann is a proponent of consistent histories which likes to play around with the past to explain the present. Bell showed that there are certain measurement combinations for which Alice’s results cannot simultaneously satisfy the predictions of quantum mechanics for both of Bob’s alternative settings. But I doubt there’s any way of convincing oneself of this without getting a large piece of paper dividing it vertically into four columns and writing down a lot of rows of H’s and V’s (or 1’s and 0’s ). Greenberger, Horne and Zeilinger make it even more apparent. Gell-Mann calls his interpretation "consistent histories", but it is really just his version of Copenhagen. Griffiths also published similar ideas. It does not require modifying logic. The counterfactual is assuming a value for a measurement that was never done, and cannot be done without violating the uncertainty principle. All versions of Bell's theorem have such an assumption. It is correct that Bell's inequality is a statement about certain classical theories, not quantum mechanics. It doesn't really say anything about quantum mechanics, except that quantum mechanics differs from those classical theories of local hidden variables. Hogwash, you can't explain the measurements that were done! Right, Bell's inequality is a statement of mathematics. Bell's lambda can be psi (nothing restricts lambda here), so QM is non-local. The measurements are explained by quantum mechanics. If you want an explanation involving a classical theory of local hidden variables, then you will be disappointed. That is the only lesson of Bell. I didn't say quantum mechanics didn't predict the correlations but they are space-like separated. Quantum mechanics is a non-local theory but with no signaling. Otherwise, you are positing arbitrary rules about "histories" with no empirical basis to do so. It's certainly not positivism because there are no such observables. If start your reasoning from EPR, you can see what the debate was about. I think these counterfactuals have had a bad press. Here’s a counterfactual: I went out and it rained. I didn’t have my umbrella and I got drenched. Would you suggest that if I had my umbrella with me, it would not necessarily have rained!. They insist on positivism but just stipulate arbitrary rules about what's allowed. They try to modify logic when they lose the argument. There is nothing empirical about it. They can't locally explain the measurements that were done. There are no real assumptions about counterfactuals but they are implied by the argument. The universe is not statistical, your model is. There is no 2.5 children. Ever. Only in the crudest way can you extrapolate from a large grouping to an individual anything, from people to particles. You can model it that way, but that does not make it work like that, only your model. Using statistics on people does not turn them into statistics, and using statistics on particles you don't understand structurally certainly doesn't turn them into statistics either, it merely at best gives you a 'class average' without you knowing a damn thing about what the class was about, and who did what in it...and the little fact that no one in the class was made of numbers or functioned like an abstraction of crude calculation. statistical abstraction you have opened the door to all manner of abuses, deceptions and misinterpretations on even a macroscopic scale where everything is counted and visible. This is easily done after you have reduced your possible understanding of a functioning element to something it is not, a number devoid of the very structure that allows it to function as it does in reality just so you can manipulate it in your abstraction. Applying such blatant statistical methods to a realm of mostly unseen theoretical and poorly understood elements you really can't keep track of is a genuine recipe for incomprehension. You clearly haven't heard of GHZ. Note, the product of two Y values equals the X value in the remaining column. By simple algebra, we can see that it can't be done but you can do it in quantum mechanics. There's no statistics involved. But if we measure X_A,X_B,X_C we get -1! Suppose X_A = −X_B = X_C = +1, and Y_A = −Y_C = +1. If Y_B is measured with X_A and Y_C, its value is −1 because X_A*Y_B*Y_C = +1. If it's measured with Y_A and X_C, its value has to be +1 because Y_A*Y_B*X_C = +1. The world isn't made of math, so you have to construct simplistic toy models of the world to use in order for an abstraction like math to be able to interact with it in the first place. This also means there will never be a 1 to 1 correspondence between math and reality, both logically, structurally, and dimensionally math will always be an entirely dependent construct which at the very best is informed by reality, not the other way around as the mathematical platonists would have you believe. You are putzing entirely with the limitations and nuances of someone else's crude map, not the territory itself. Bohr did everyone a great disservice with his mystical pronouncements, and repeating his mistakes will not lead to a better answer. Try something else, it really is GIGO all the way down. By your standard, we shouldn't care about the map as long as it works, so pick the deterministic Bohmian account because it's the clearest, until a better map comes along. The GHZ formulation of Bell is just a distraction, and is not relevant to any point here. My explanation of Bell's Theorem agrees with QM textbooks, Nobel prizewinners, and Wikipedia. It agrees with the way that Bell originally explained it. If all of that is wrong, the burden is on you to show the error. GHZ makes the issue clearer by getting rid of statistics. There are Nobel prizewinners who believe in superdeterminism. Wikipedia? Seriously? You have to explain the results of Bell! To say that you don't believe in reality isn't an explanation but pure mysticism. You can believe there is no explanation mathematically but then you aren't really doing science. You are the one introducing arbitrary rules you can't prove. Furthermore, psi can be lambda. Nothing is restricting this possibility! QM is non-local. Counterfactuals are implied but not assumed in the argument. "Bell’s Theorem was developed as an effort to investigate whether nonlocality must be a necessary feature of realistic formulations of quantum theory. The result was of course, that all theories featuring local hidden variables must conflict with the quantum mechanical predictions. As compelling as this may be in itself, this is not yet the full story, as Bell showed in further papers.28 Bell directed attention to the Einstein–Podolsky–Rosen paradox and its implications, and showed that by considering this argument in conjunction with his own theorem, a different result follows. 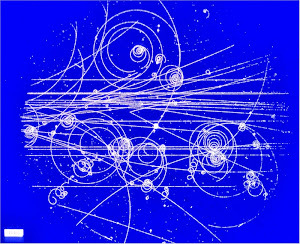 What is implied by such a combination is that the empirical predictions of quantum mechanics are in conflict with any local theoretical explanation one might consider.29 The essential point involved in the derivation of this result is that hidden variables constitute a non-basic premise when one views the conjunction of Einstein–Podolsky–Rosen Theorem and Bell’s Theorem as a complex argument. What can be said regarding the possibility of objective interpretations of quantum phenomena? While there is no contradicting the notion that local realistic theories must be ruled out, we see also that the quantum theory itself conflicts with all local theoretical explanations. Quantum theory may be called irreducibly nonlocal. Therefore, the EPR/Bell analysis does not serve to distinguish quantum mechanics from a candidate hidden variables theory, but simply reveals that every viable formulation of quantum physics must exhibit such nonlocality." ??? Bell doesn't rely on point particles but spacelike separated observables. Locality in QFT simply means field operators must commute when evaluated at spacelike separated events. Susskind puts it a fairly clear way. Just simulate quantum mechanics on a computer. So reproduce Bell where Alice and Bob use two separated computers simulating quantum mechanics. You can't! Quantum mechanics is a non-local theory. I don't care what someone's beliefs are. The Bell Theorem is a piece of mathematics, and it requires local hidden variables. The assumption is essential to the proof. In later papers, Bell tried to make some arguments for the reasonableness of the assumption. Maybe so, but it is an assumption nevertheless. 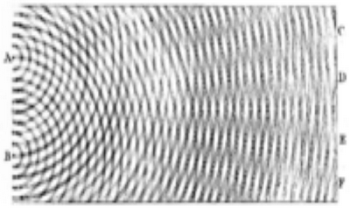 If you try to simulate a quantum experiment using computers, and you program local hidden variables into the computer, then you are making the assumption. No, psi cannot be lambda. The whole point of the Bell theorem is that the psi theory predicts something different from the lambda theory. He cites EPR at the very beginning of the paper! "If you try to simulate a quantum experiment using computers, and you program local hidden variables into the computer"
I didn't say that. I said simulate quantum mechanics. Can you reproduce Bell? NO! You cannot use local quantum mechanics. Get it? "The whole point of the Bell theorem is that the psi theory predicts something different from the lambda theory." Wrong, wrong, wrong. It's piece of mathematics and not quantum mechanics. You are making the unwarranted assumptions here. The predictions of quantum mechanics violate Bell. You say that psi cannot be lambda but YES IT CAN! You seem hung up on the wording "hidden." Do you not understand math or something? I don't care what your beliefs are about Bell. The math is unambiguous. Maudlin is correct that Bell's theorem can be proved using only a classical theory of hidden variables, and without any quantum theory. When the experiment demonstrates the violation, then it follows that the classical theory of local hidden variables is wrong. That theory is wrong, regardless of any interpretation of quantum mechanics. He abbreviates "classical theory of local hidden variables" to just "locality", making his explanation a little confusing. So now you are just making up quotes. You seem to think that quantum mechanics is specially exempt from the argument. It isn't and it's proven by the simple thought experiment of having two separated computers simulating the quantum mechanics of Alice and Bob. You can't reproduce Bell without wires. If quantum mechanics is a local theory, it would not need wires. There is nothing restricting Bell's lambda. There is a nonseparability inherent to the theory. You are just making up meaningless conjunctions of words like 'classical variables,' which is nowhere justified.